These DIY models were based on the Mini-Vac vacuum, which you can buy off of Amazon for about $17. This approach is pretty functional, and all said and done probably costs $25-30 to construct, not including your labor. They don't survive heavy use. This has to do with the heat produced by the smoke as well as the amount of usage. In other words, it won't last in a professional kitchen and may not even be able to survive heavy home use. Which would be fine if it weren't for the fact that they are not THAT cheap. At $25 a pop, you may spend more on DIY smokers than on just buying a PolyScience Smoking Gun. 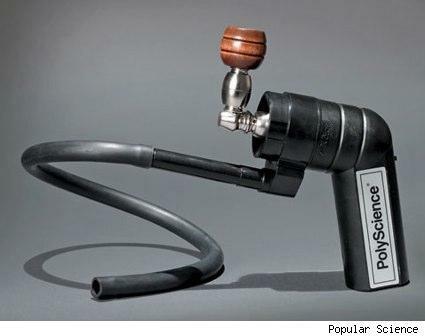 Left: PolyScience Smoking Gun. Right: Syba Vacuum. Hrm. 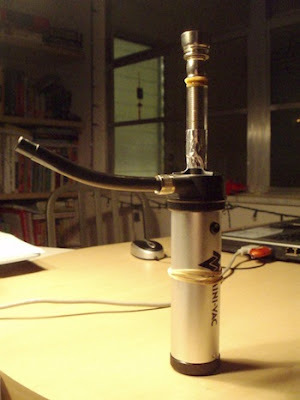 How to construct a Syba based smoking gun. Spoiler alert: It will even have color pictures! 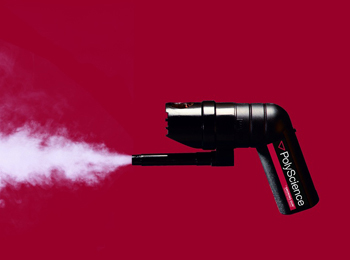 If and what the differences are between the Syba vacuum and the PolyScience Smoking Gun. Spoiler alert: There are differences! Is it worth all of this effort? Spoiler alert: Just kidding!